Everyday Thoughts: Are You Living a Life FulFilled? Are You Living a Life FulFilled? 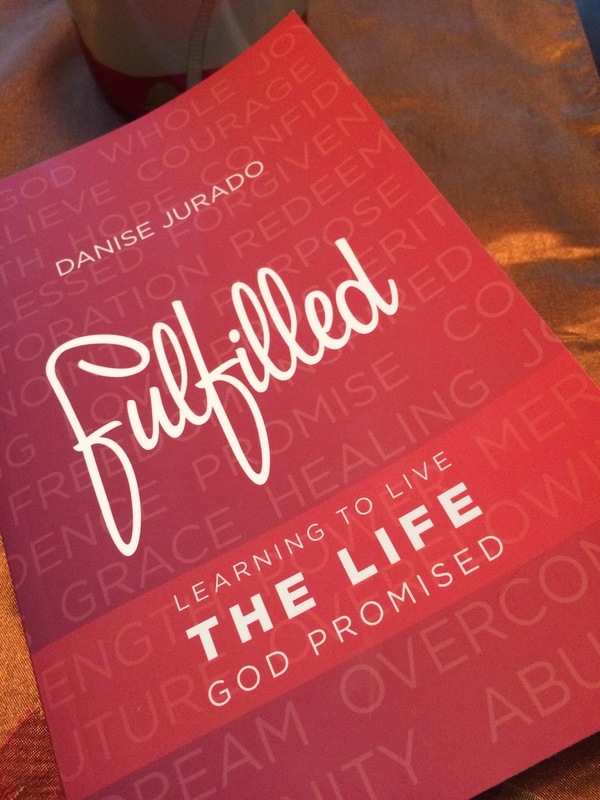 I recently had the pleasure of reading Danise Jurado's new book, "Fulfilled - Learning to Live the Life God Promised". I spent my time combing through the pages, reading about some of Danise's personal life struggles and how she continually found the strength to persevere through each obstacle because of her faith and courage in Christ. Throughout the book she discusses themes like; truth, forgiveness, change and hope and it's all based on the Written Word. Each chapter spoke of Biblical Truths that challenged me and had me take a closer look at my heart and my relationship with Jesus. I learned more about myself and my faith from reading "Fulfilled" and I think anyone that takes the time to turn the pages will as well. The book itself was well organized, easy to read and clear enough to understand even if you are just beginning your faith journey. Danise's personal sharing shows her genuine and authentic heart and allows readers to find similarities in their life giving them grounds to make parallels in their own life. I was excited to dig in a little deeper with Danise after I completed the book and I just had to share these faith-filled Q&A with you. Don't worry you can read this before you read the book (it doesn't give anything away). What inspired you to write Fulfilled? Danise: God placed people in my life who were able to see the potential for this book within me long before I ever did. Writing the book was a ten-year journey with God; inspired by the desire to share my own personal journey to discovering the full life God has promised. I’ve also served as a pastoral counselor for fifteen years and I wanted to share all the practical steps that have helped me and many others find healing and spiritual freedom in life. If there is one single take away from the book what do you think it is? Danise: There is a pang inside of us that comes from the soul longing to be satisfied and whole. Although there are many ways to pursue a fulfilled life, there is only One who can truly satisfy the heart; the One who created it. God’s definition of a fulfilled life is so much more substantial than our limited ability can see. When betrayal, loss, addiction, hopelessness, fear and doubt whisper, “Is a fulfilled life even possible? How?” - God reaches out to us, right where we are, through the power of His promises to lead us to freedom and fill our life in ways we can’t imagine. God has clearly chosen you to help minister to his flock - how do you feel about that responsibility? Do you have any advice to those that have a similar calling? Danise: It is a privilege to partner with God to help others discover His truth and walk in freedom. I often describe it as working in Holy Spirit territory because that is what the human heart is; Holy Spirit territory. With that in mind my first bit of advice to those called to minister is to understand that as you help others navigate through very personal areas of life – be a trustworthy person. Confidentiality is more than just a moral code of ethics it is respect for the Holy Spirit territory that you have been given access to. The healing God desires to bring to a heart that has been broken by betrayal can be hindered if further betrayal happens at the hands of a “minister”. Next, my advice is to continually pursue freedom and healing in your own personal life. It is difficult to lead someone to a place you are not familiar with yourself. We are all a work in progress, just be sure that you are always yielding and surrendering to Christ throughout your progress. You talk about the Dream Center in the book and you've graciously offered to donate 50% of the proceeds from the sale of "Fulfilled", what is the Dream Center and why is it so close to your heart? Danise: The Dream Center is a wonderful organization that reaches over 85,000 people every month through both residential and outreach ministries; helping people overcome things like addiction, abuse, homelessness and poverty. They provide housing, food, clothing, furniture, education, job placement training and most importantly the hope and love of Christ. You candidly wrote that you grew up in a house that was far from faith, about your battles with weight and food and some of your marital hardships, why did you decide to share so many personal details about your life? Danise: God has done amazing and wonderful things in my life. Our testimony is one of the most powerful ways we have to share the hope and freedom of Christ. Vulnerability allows the reader to build a relationship with me throughout the book. I wanted the book to be as though it was just me and the reader sitting down for a chat about living a fulfilled life through Christ. You share a lot of Scripture throughout "Fulfilled", do you have a favorite verse? If so, what is it and why does it resonate with you? Danise: I think this might be the hardest question to answer. I love the Word of God. I depend on God’s truth in every way. I have specific favorites for certain areas of life application so it’s hard to choose only one. Overall the one that comes to mind immediately is 2 Corinthians 9:8 “God is able to make all grace abound to you, so that in all things, at all times, having all you need, you will abound in every good work.” This verse reminds me that no matter what season of life I am in, no matter what I am facing in life, God’s blessing of grace to me is always more than enough to abound in every good work He has called me to. Danise: Life and the Bible. 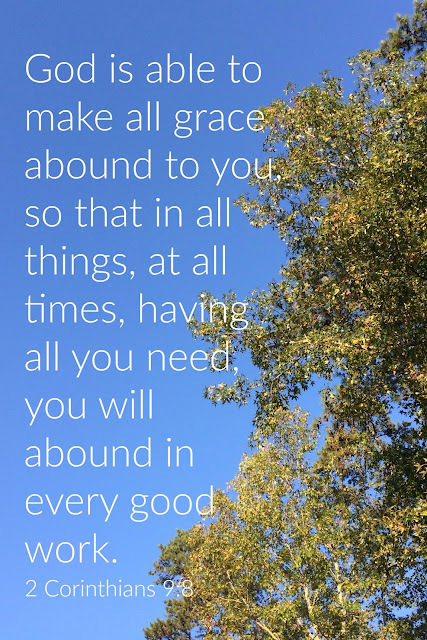 I love how God’s love letters to us are applicable in every way throughout life’s seasons. Every day we are all surrounded by the facts of our life; God’s Word is the truth. Just because facts are real doesn’t make them the truth. God doesn’t say you will know the facts and the facts will set you free. He says, you will know the truth and the truth will set you free. Leaning how to maneuver through all the facts of life with the power of God’s truth is a life long journey and wonderful inspiration for writing. Danise: I love to read and learn. I enjoy reading many different authors, including bloggers. Some of the best reading comes not only from authors of books, but authors of blogs. My favorite book of course is the Bible. Do you have plans to write another book in the future? Danise: Yes! I do. I never thought I would say that but I have several ideas for future books. One on the topic friendships and prayer partners, and the other one about holding on to your true identity through dating relationships. It will be fun to see what God does with those ideas in the future. Do you have any book recommendations? I'm always looking for my next great read. I also recently started a profile on GoodReads - follow along here.